Sugar Station is proud to be one of the first to bring Yowie’s back to Australia! The original Yowie clan; Rumble, Crag, Boof, Nap, Ditty and Squish have finally travelled back to their homeland of OZ ready for you to eat the delicious chocolate and collect all of their prized Yowie toys. 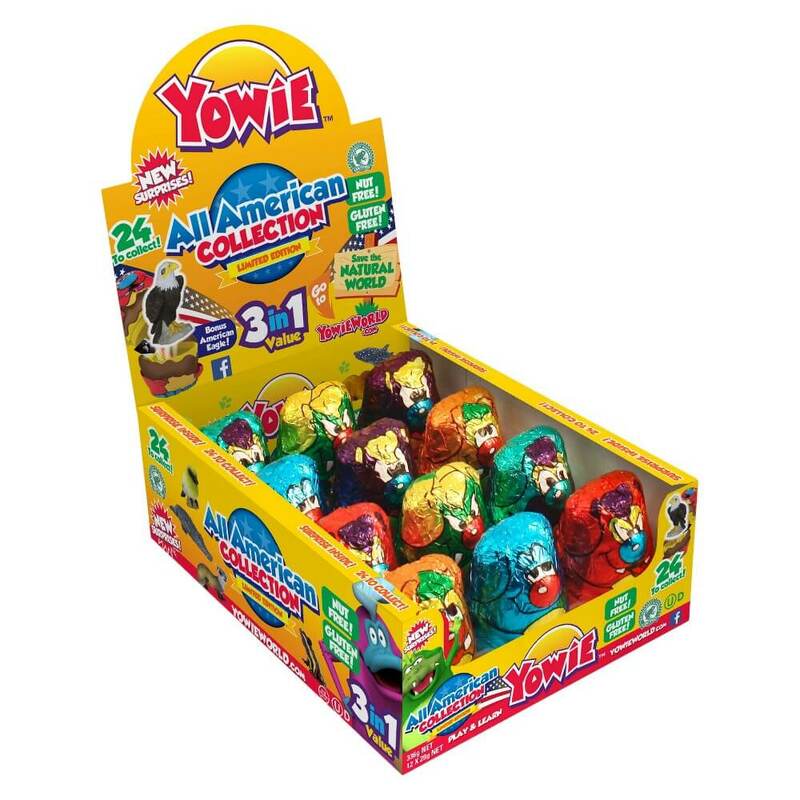 The Yowie chocolate covers a Yowie shaped capsule with a limited-edition, natural replica animal, first featuring an all-American collection of 18 animals, as well as 6 Yowie playmates. Each delicious, chocolate Yowie provides a great, information leaflet profiling the animal toy enclosed providing information on its habitat, food sources, and the threats directly affecting them and their environment. The animals found within Yowies are either not threatened, near threatened, vulnerable, endangered, or critically endangered which is clearly cooler coded within each information leaflet aiming to provide consumers with the necessary information to help these animals and the environment. Make sure you come in and get your Yowie while they last! These Yowies may just disappear back into the bushland from where they came.